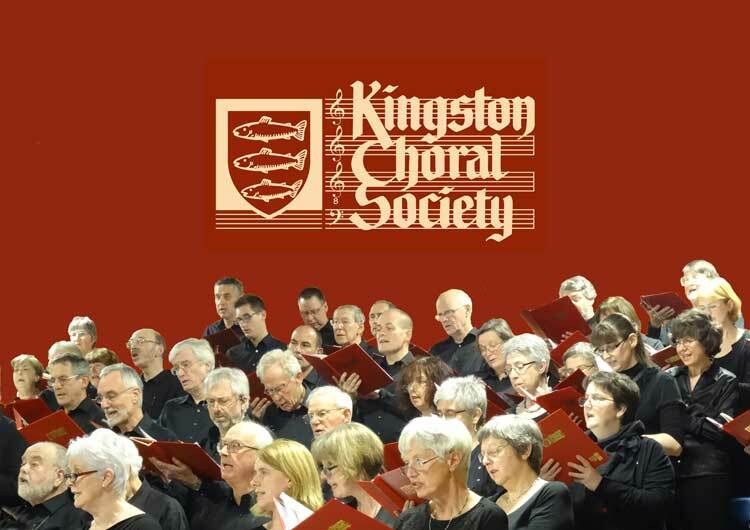 Kingston Choral Society is a vibrant, friendly mixed-voice choir based in Kingston upon Thames, Surrey. 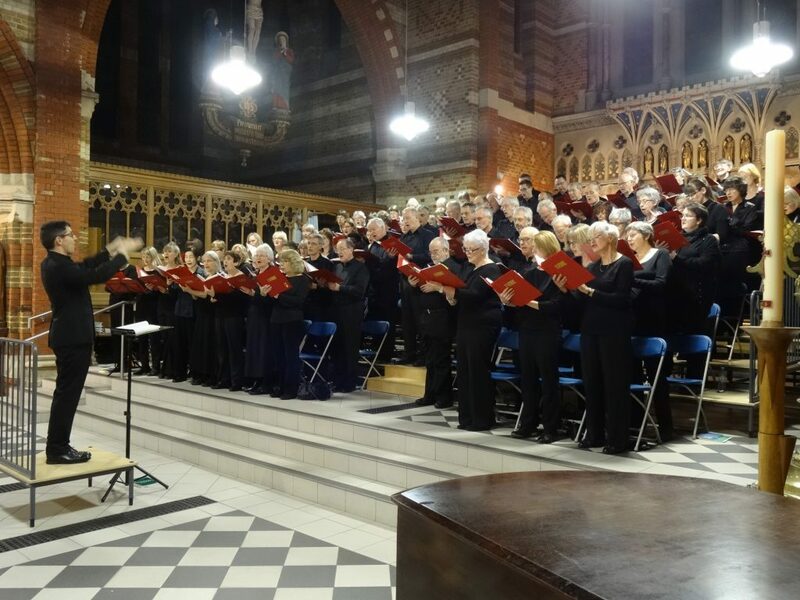 We give four concerts a year, mostly in Kingston and Surbiton, but also in Cadogan Hall, Chelsea, performing with professional orchestras and soloists of the highest calibre. Our concerts cover a wide range of music from the 17th century through to the present day, including new works. We have about 130 singers and welcome new members. If you enjoy singing and think you would like to join us come along to a rehearsal and try us out. If you decide to join, there is a simple voice test – no preparation is required – nothing too terrifying! The Society has its origins in 1949 when the Mayor of Surbiton gathered local church choirs to sing Messiah in March 1950. A nucleus of these singers stayed together and became Surbiton Oratorio Society, soon earning a reputation for concerts of a high standard. By 1985, the Society had become more closely involved with the Royal Borough of Kingston and adopted its current name. The Choir has about 130 singers and has retained a reputation for quality music making. It performs with a period-instrument orchestra when singing Bach, Handel and other early repertoire and works with soloists of the highest calibre. Several have sung lead roles in international opera houses, including Teatro La Fenice, Venice, the Royal Opera House and Glyndebourne. Our 2018/19 Season pairs three of the most popular works in the repertoire - Brahms' deeply moving A German Requiem, Handel's evergreen Messiah, and Duruflé's serene Requiem - with lesser-known gems by Stanford, Bruch and John Tavener. As ever, our soloists include some of today's finest young singers, and we are thrilled to collaborate once again with the wonderful Thames Sinfonia and Purcell Orchestra. Taken today while checking out the route for our 'Choir and Friends' walk planned for Sunday 9th June. Announcing the KCS Choir & Friends Walk, on Sunday 9th June! The theme is 'Forests of North Surrey'. This year walkers will meet for a 9am start at Hinchley Wood Station, cover 6-7 miles before taking lunch 12:30-2:30pm at The Star pub (here) in Malden Rushett, then cover another 5 miles and finish around 5pm at a pub near Epsom Station.. Friendly company and no costs apart from your own travel/food/drink. And if you can't make 9th June, do consider the slightly faster recce walk on 26th May (same route). Please tell the organiser Luke Reader (luke@lukereader.com) if you're interested (whole day, or just the morning or afternoon stretches). The lunch pub requires advance booking and there are no alternatives nearby! 3 runners ran 1km to help the Kingston Choral Soceity in Kingston upon Thames. After a wonderful day conducting Purcell for @TheRoyalBallet with the orchestra of @RoyalOperaHouse, it's time to get the ball rolling on a new programme of Duruflé, Taverner and Bruch with @KingstonChoir. We are looking forward to starting rehearsals for our summer concert tonight. Please remember to arrive a bit earlier than usual to allow time to collect your music! What lies beyond these paths? Email Luke (luke@lukereader.com) to sign up and find out!